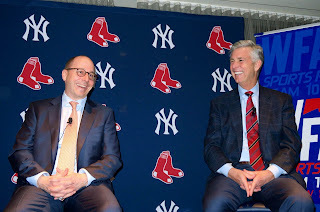 The Bronx Embalmers added Sonny Gray to their rotation yesterday, while Dave Dombrowski sat idly by. Granted, the addition of Eduardo Núñez was a coup—getting a solid veteran to help solve the 3B nightmare. But the less-glaring (yet still important) pitching deficits were only partly addressed by the trade for bullpen arm Addison Reed. With the likely loss of David Price for a good while, the acquisition of an extra starter (even a mid-range one) would have been prudent. Instead, it was The Pinstriped Posers who added Gray—plus mid-range starter Jaime Garcia—making their rotation nearly equal to Boston's. When added to Gray, Masahiro Tanaka, a rejuvenated CC Sabathia, Luis Severino and Garcia are not bad at all. And, two of the three prospects Brian Cashman sent to Oakland for Gray have already had season-ending surgeries. Conversely, Dombrowski sent away three prospects (including Boston's #2 pick in the 2012 draft, pitcher Jamie Callahan) for Reed. 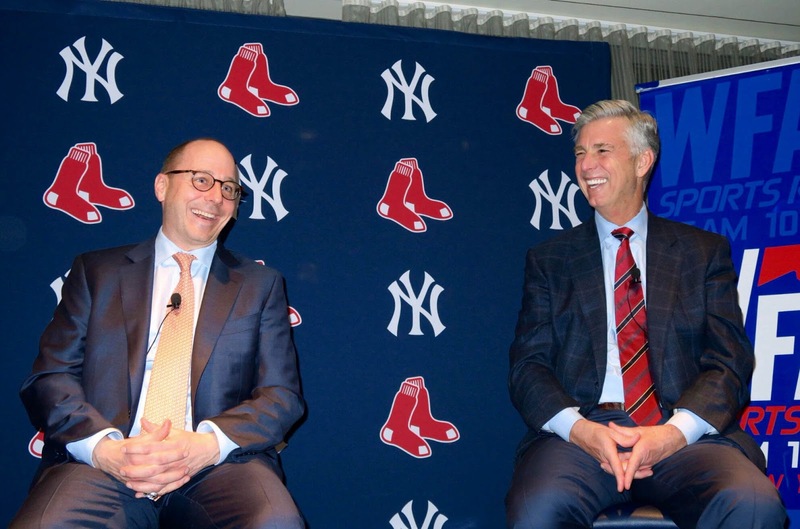 By any objective measure, Cashman bested Double D this deadline season—and The Evil Ones are well-poised to take the AL East because of it.